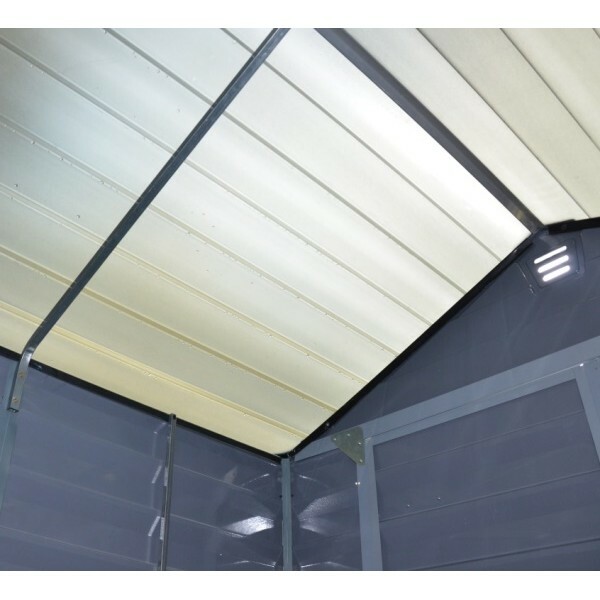 The Palram Skylight Sheds are strong as steel being uniquely built from polycarbonate panels reinforced with aluminium and galvanised steel frame components giving these sheds high durability and rigidity. The polycarbonate used is durable and virtually unbreakable as well as being resistant to frost and UV damage assuring durability for many years to come. Another unique feature of these sheds is the Skylight, an innovative roof panel material that transmits natural light into the shed yet from from the outside, the roof is opaque ensuring maximum privacy and preventing harmful UV rays from entering the shed and damaging and fading the contents within. This method of illumination removes the need for windows, increasing privacy and security. 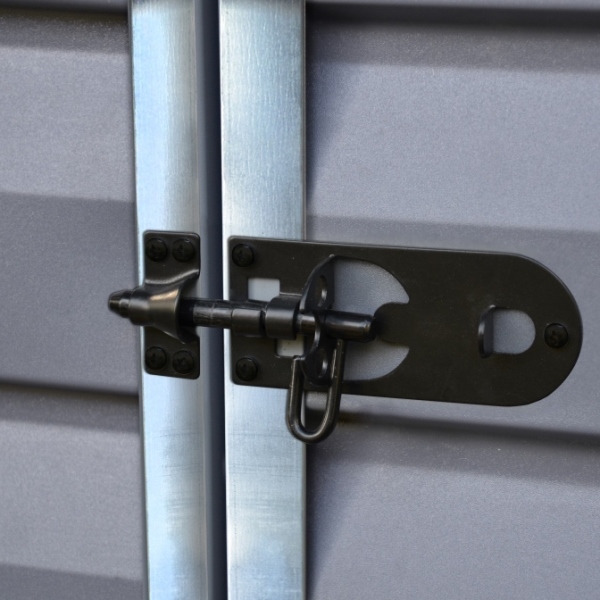 Plastic sheds are maintenance free and unlike wooden or metal sheds, they do not rust, rot, peel or fade and therefore never need painting or staining saving you time and money. 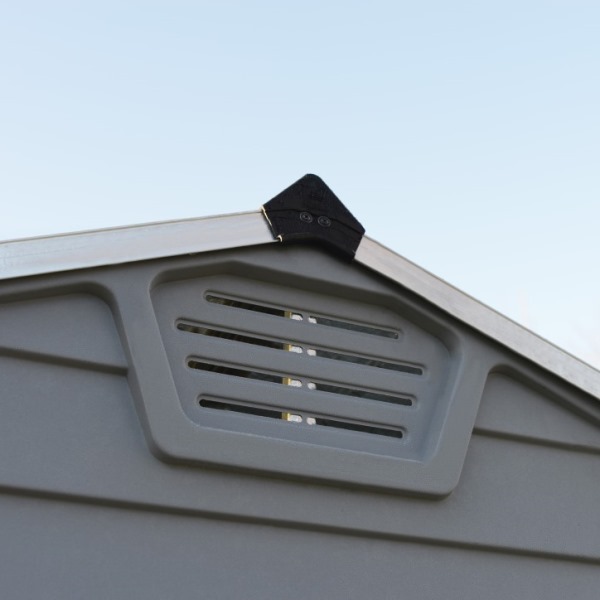 The shed should be installed on a solid flat surface. This should be a concrete, slabbed or tarmac base. Assembly will take 2 competent DIY adults approximately 4 to 5 hours, alternatively home installation is offered as an optional extra and is recommended to ensure a professional finish. The installation team will book a date with you to carry out the installation and will install the shed within 3 weeks of your order being delivered. Please refer to the shed footprint measurements when preparing a base for this shed.